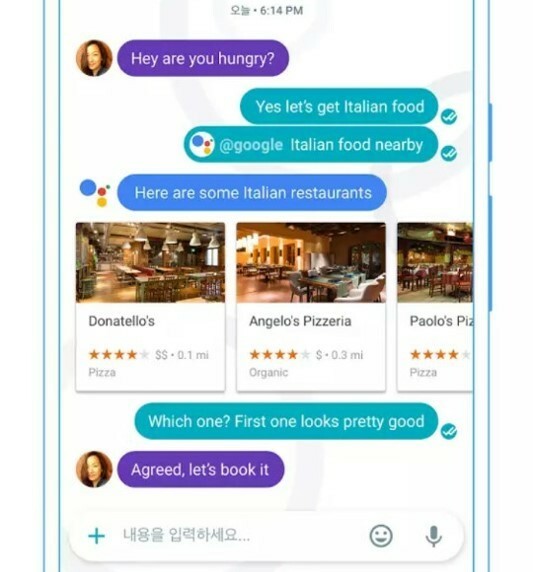 Samsung Electronics confirmed Tuesday that it has bought Korean artificial intelligence startup Fluenty in a move to boost its AI capabilities. Samsung’s mobile unit has taken over the fledgling firm, which has around 10 employees who are mostly former developers at Korea’s two largest search giants, Naver and Kakao, according to local news reports. This is the first Korean AI startup acquired by Samsung, which mainly invests in and acquires foreign tech companies. In 2015, Fluenty unveiled a smartphone app called “AI-based Recommendation Service” in English, which recommends appropriate responses to users based on machine learning. For instance, when someone sends a message saying “How about lunch today?” the app recommends replies such as “Yes. Which menu do you want?” or “I will adjust your schedule.” The Korean version was launched last year. Fluenty’s app supports most messenger services, including Kakao Talk, Telegram, Line, WhatsApp, Facebook and short message service. Samsung is expected to incorporate the startup’s technologies into its AI voice assistant service Bixby. “Samsung is now aggressively expanding its AI capabilities by taking over related manpower and organizations, as it views that the technology will be applied to all areas in the future,” said Lee Byung-tae, a professor at KAIST College of Business. “The recent takeover is seen as a good sign for other local startups, as Samsung appears to be willing to buy any company -- whether local or foreign -- if they have advanced AI-related original technologies,” he added. Last week, Samsung announced it had created an AI center under Samsung Research. Samsung Research was relaunched last month by integrating the firm’s Digital Media & Communications Research Center and Software Center to strengthen advanced research related to artificial intelligence. Following the acquisition of the US startup Viv Labs last year, Samsung unveiled Bixby in April for its flagship smartphone Galaxy S8. It aims to apply the AI technology into all its home appliances.